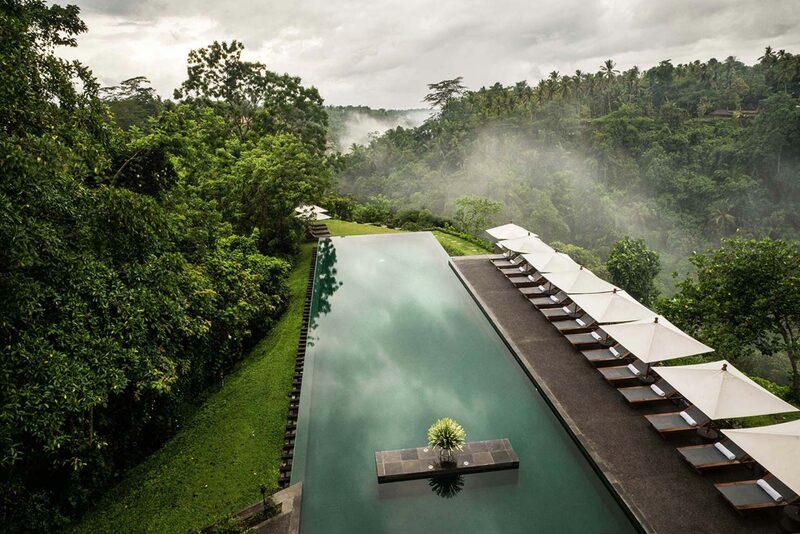 Alila Ubud is a tranquil and secluded hillside retreat that sits high up on the edge of the rich green Ayung River valley in Bali’s central foothills, 15 minutes from Ubud, the island’s cultural heart. 30 m2 / 323 sq.ft. 65 m2 / 700 sq.ft. 120 m2 / 1,291 sq.ft. 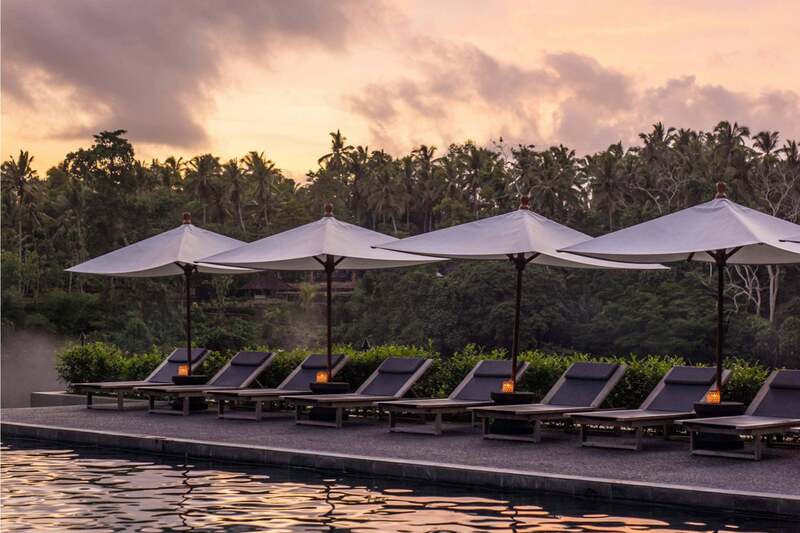 Enjoy 35% discount on a quick getaway to Alila Ubud when you book in April! The Flexible Rate allows free cancellation and amendments. Rate includes daily breakfast, return airport transfers for a minimum stay of 2 nights and more. Stay for 2 nights and escape to our enchanting hillside retreat overlooking the Ayung River. Rate includes daily breakfast, return airport transfers, one 3-course dinner, Spa Alila signature treatment, Bayad trekking and more. Enjoy serenity and relaxation surrounded by plantation amidst the glimpse of Ubud Rainforest. Carefree indulgence is yours to enjoy when you book our Eat, Play, Stay. Alila Ubud lies 15 minutes from Ubud, which has reigned for over a century as the centre of Balinese arts and culture. 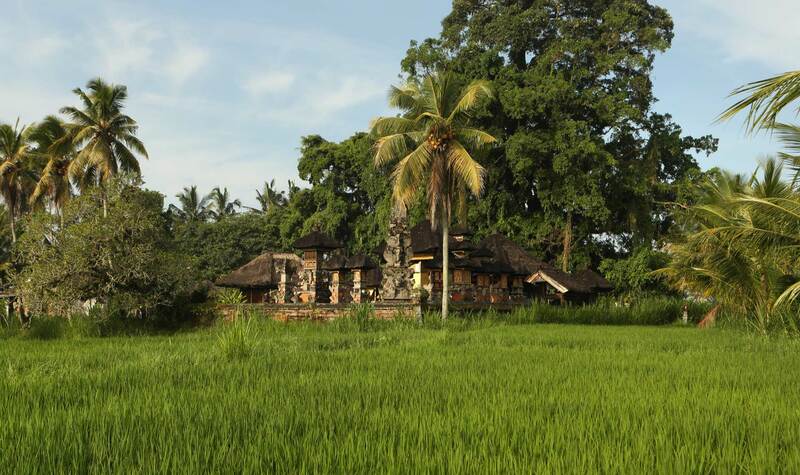 Stay at our luxurious Ubud villa resort and discover Ubud's rich history, artistic energy and cultural heritage. Located high above the Ayung River, Alila Ubud hotel has been laid out as a Balinese hillside village complete with its own community centre and pedestrian lanes. The resort’s rooms and villas stand above a ravine on stilts like tree houses and are set into the banks of the river valley. Great cocktails, like great food, spring from high quality ingredients, inspired flavour combinations, and honed techniques. A day of indulgence at the valley’s edge. Explore the heart of Bali. Visit Kintamani, one of Bali’s largest volcanoes. Indonesia is the land of spices and herbs, which inspired many countries to try to colonize it. Draped by a majestic mountain setting, this stylish resort is a perfect destination for couples seeking an intimate wedding or a honeymoon hotel in Ubud Bali. The right environment can engage and inspire the mind. The relaxed and calm environment of Alila Ubud is conducive for small, intimate meetings. Savour authentic Balinese cuisine and farm-to-table Western tasting menus inspired by local seasonal ingredients. The Cabana Lounge offers an ambience of relaxed sophistication where guests can unwind with refreshing juices, creative cocktails and delicious poolside fare. Enjoy private dining in our luxurious bale, hidden amongst the jungle vegetation, where you can enjoy the gentle sound of the Ayung River and the natural beauty that surrounds you. Experience the entire journey from picking ingredients at the local market to cooking up some of Bali’s most popular and exciting dishes. Dine amongst the garden’s towering stone pillars, with a view out over the rice terraces and the distant shadow of the spectacular mountain range. The dramatic emerald-green swimming pool is perched on a terrace and appears to float above the plunging Ayung River valley below. A great place to chill out in Ubud. At Spa Alila, the path to well-being is holistic and intuitive. Trained in anatomical physiology, massage, meditation and service, our local therapists combine the latest nutrition and health knowledge with warm, genuine care. At Alila Ubud, we strive to minimise our environmental impact across our operations, measuring our eco performance against international sustainability benchmarks, and engage with local communities to create economic opportunity, improve quality of life, and bring real and lasting benefits.